Here is a shot I took last month in Seattle in the Chihuly garden. 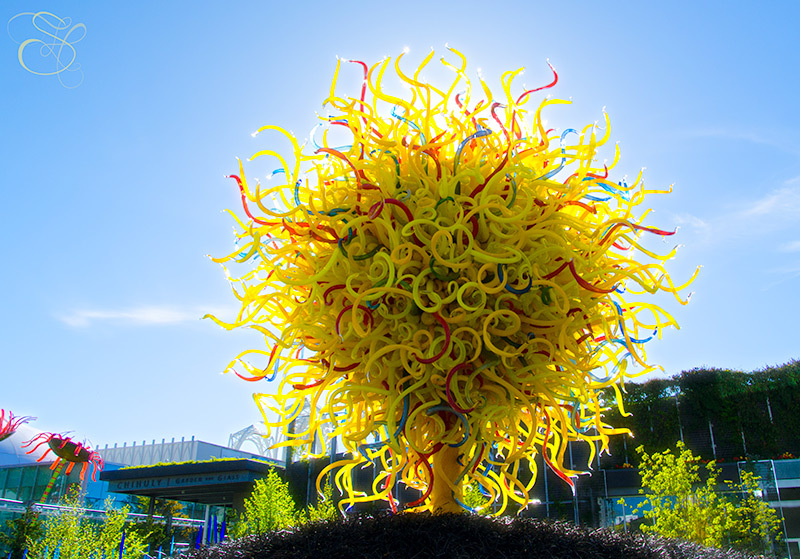 A friend said that this piece looks like a Chihuly self-portrait since he has a wild mass of curly hair. I thought it would be good for this week’s “yellow” theme for Kim Klassen’s Texture Tuesday. I used kk_july-1 for the texture layer, at 15% opacity and a blend mode of Color Dodge.